Already a Member? Signin frequently to see new ads added daily and new mail received ! Free Roommate Finder Service ? OKRoommate is an international Rooms and Roommates Service that provides free particular to particular roommate offers that aims to help you find a roommate that fits your needs. OKRoommate offers free roommate searches around the globe in more than 50 countries, which makes us the most complete roommate service available and that is for free with possibility to have VIP access for a small fee! Start searching roommates now by signing up in 2 easy steps! Searching rooms for rent, sublets, subleases, roommates and shared apartments ? 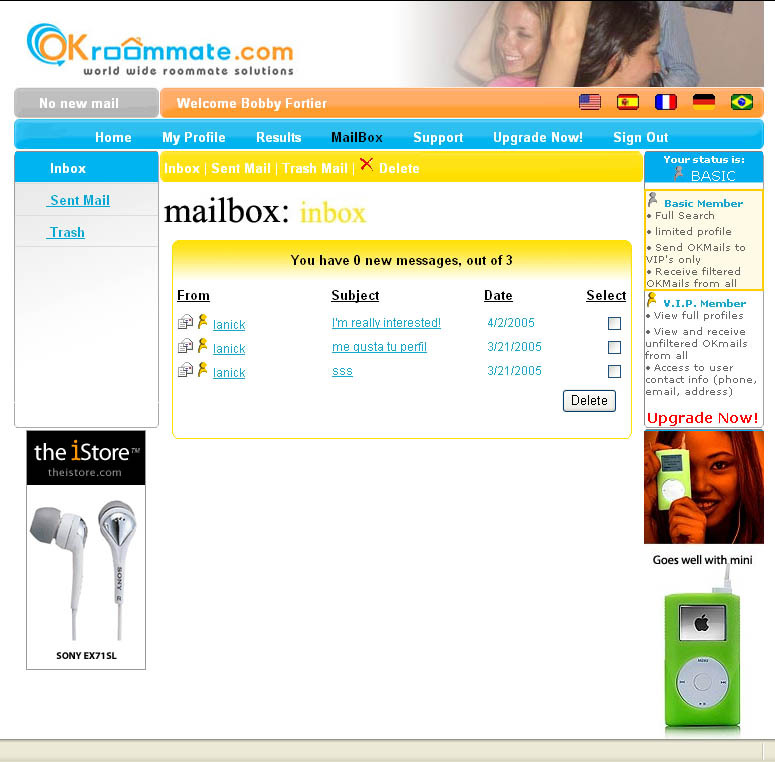 OKRoommate is the tool you are looking for! You need to share the rent of your apartment and looking for a portal that furnishes every day thousands of roommates in search of a new place to live ? OKRoommate.com has been specially created to be reachable and in several countries to increase the visibility of the places available so you can rent quickly to the profile you desire! You are a student or professional moving to a new destination and in need of a room ? You wonder how to do that from home? Finding rooms and roommates with OKRoommate is easy and free! Start now!! OKRoommate.com offers visibility in more than 5000 cities and in several languages making it the most reachable roommate service internationally! 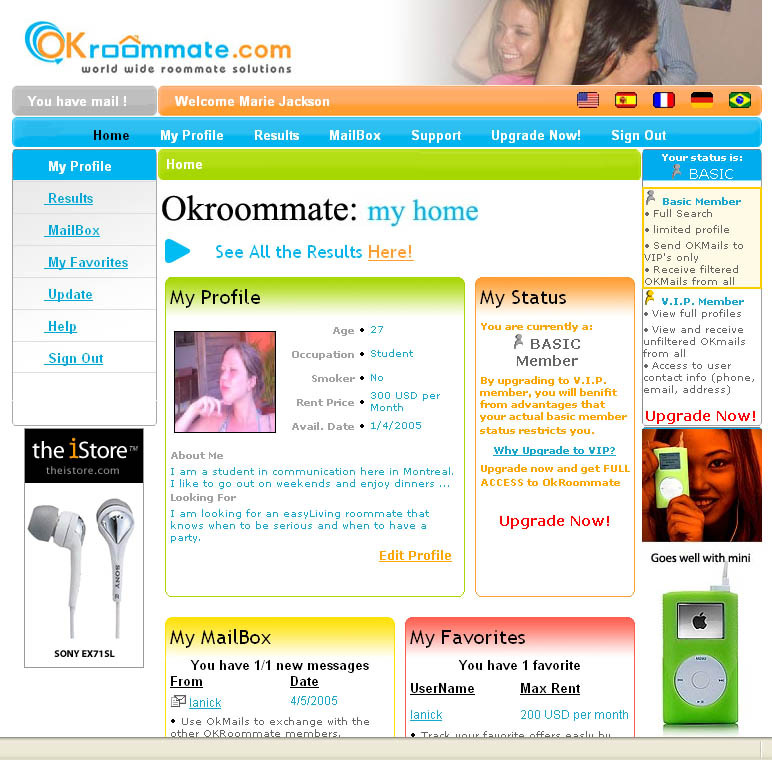 OKRoommate helps find roommates from different cultures. helping you make your roommate experience even more interesting!